2016 album from the veteran singer/songwriter and rock/folk/pop icon. For anyone who’s been listening to great music during the past half-century, Paul Simon is certainly no stranger. So one of the most remarkable things about his extraordinary masterpiece, Stranger to Stranger, Paul Simon’s 13th solo record, is that it conjures a vivid and vital new context to his well-established genius as a singer and songwriter. 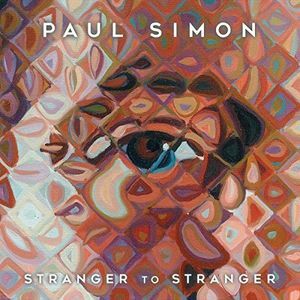 Full of thrilling textures that feel fresh and modern, while still offering subtle and artful allusions to our shared musical past, Stranger to Stranger presents the perfect opportunity to get to know Paul Simon in a new way. Stranger to Stranger allows the listener to experience Simon’s singular voice with the shock of the new. Here, his strong voice and conversational lyrics usher us into a brave new musical world where expectations are defied and exceeded, as they were 30 years ago with another masterpiece, Graceland.